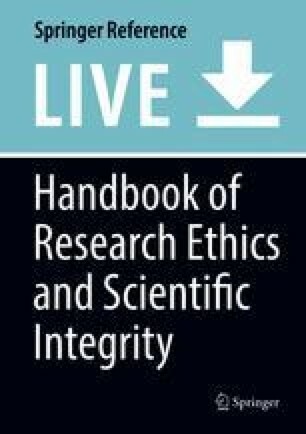 Guillimin and Gillam’s concept of ethics in practice in qualitative research is a given in that unexpected ethical dilemmas emerge within qualitative research’s iterative frame reconfiguring how researchers manage potential harm to participants. Not so widely acknowledged is the threat the emergence of ethical dilemmas creates for researchers’ own physical and emotional safety, especially those who are PhD candidates. This chapter explores a PhD student’s emotional safety when her research design unfolded on her unexpectedly leaving her to ask the question, “What just happened?” Her two PhD supervisors, a bioethicist and a health professional, provide an answer and a solution that is generalizable to qualitative research PhD students in general. A review of the literature finds this situation remarkably commonplace yet academic supervisors are either oblivious to them or limited in what they can offer students. Professional supervision offered to this PhD student was an example of best practice, allowing her to reveal her vulnerabilities in a neutral setting and outside a normal academic supervision hierarchy that routinely inhibits these disclosures.